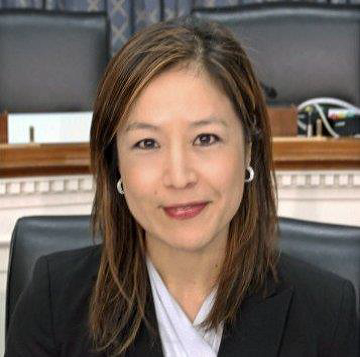 NEHI is pleased to announce the appointment of Lauren Choi as Vice President of Policy Partnerships, Development, and Member Relations. Starting this week, Lauren will work to catalyze NEHI's engagement with its member-stakeholders, helping to create partnerships that enable NEHI'S thought leadership and policy development and support health care innovation nationwide. She will also lead NEHI's membership development efforts across the spectrum of health and health care, providing cross-sectoral opportunities for engagement among NEHI members and partners. Lauren is an experienced health care leader and innovative partnership builder with more than 20 years of policy, advocacy, legislative, and legal experience in Washington, D.C. Most recently, she served as Senior Advisor and Director of Stakeholder Engagment in the Office of the National Coordinator for Health Information Technology (ONC) at the U.S. Department of Health and Human Services. Over the course of her career, Lauren has worked with the health care, technology, and biomedical industries to advance thought leadership and innovation, and to spur policy development within both the U.S. Congress and the Executive Branch. Read her full bio here. "We are delighted that Lauren has joined our team," says Susan Dentzer, NEHI President and CEO. "We know she will draw on her wealth of talent, enthusiasm, policy experience, and commitment to collaboration to engage our members and other partners in advancing innovation in health and health care." Members and Partners are invited to come meet Lauren next week at the Health Care Without Walls convening in Washington, DC on Wednesday, May 10. Click here to RSVP.